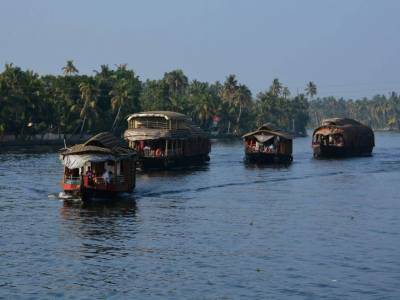 The main tourist attraction of Kerala is without a doubt the backwaters. 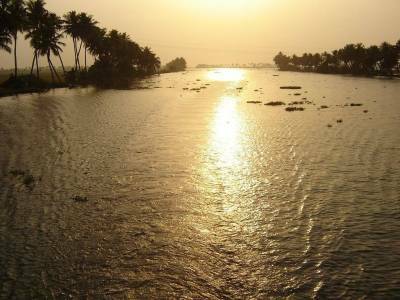 The intricate network of canals and lakes draining the coastal parts of the region all while connecting to the Arabian Sea is famously known as the Kerala Backwaters. The presence of this natural phenomenon coined this region with the name of Venice of the East. There are many lakes in the Kerala backwaters and out of these the most famous one is the Vembanad Lake also known as the Vembanad Kol or Kayal. It the second largest lagoon in India and the largest water body of the backwaters. The Vembanad Lake is located at the border of the Kottayam and Alappuzha districts. It is one of the most serene locations in and around the whole backwaters region. The Vembanad Lake is filled with exotic and exquisite natural resources. The flora and fauna of this lake is very lively and it acts as an active ecological hub. 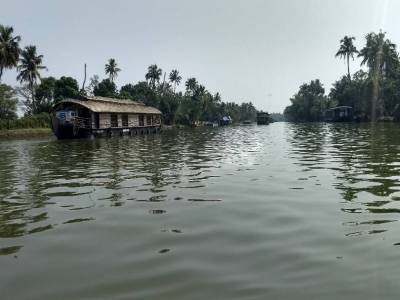 The level of the Vembanad Lake is almost at par with the sea level and it is separated from the Sea of Laccadives by a constricted partition. 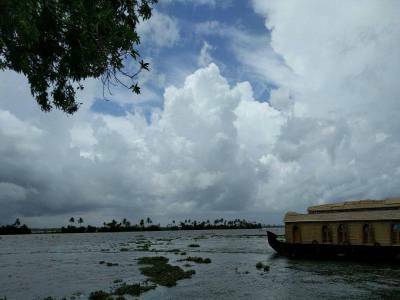 The most attractive thing about the Vembanad Lake is that it is bounded by coastal Forest. The Kumarakom Bird Sanctuary of Kottayam is located by the lake. The boat races of the backwaters known as the Nehru Trophy Race include the Vembanad Lake as a part of its track. 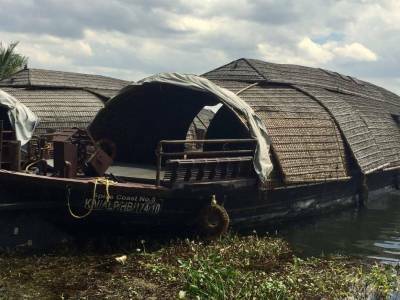 The Vembanad is a serene lake which attracts the travelers and for them the house boat rides & stay is a great way to spend quality time amidst nature. Get quick answers from travelers who visit to Vembanad Lake.